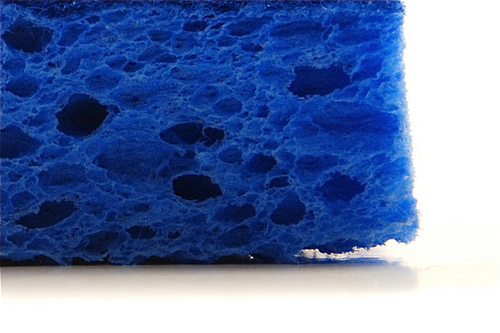 Your brand is a sponge. It’s not the color or the price or the features—it’s how you make a customer feel. So how do you manage that? Is it just about hugs and recycling and ads about fathers and sons? The feelings your brand evokes are released by the sum total of what the customer knows about your brand. In short, data points. The ads you broadcast. The smell of your stores. What the customer’s best friend says about you. The customer service. How the user feels when she carries around your bag. What your competition says about you. Your last 10 posts on Twitter. Some of this is within your control, and some of it is not. These data points vary in potency based on trustworthiness of the source (do I trust what the neighborhood coffee shop says about Starbucks? ), recency of the data point (do I care that a barista was rude to me in the Chicago airport 4 years ago? ), and relevance of the point (I don’t care if Starbucks matches 401K contributions, but I do care if they are chopping down the rainforest to grow coffee.). A brand is the sum of the good, the bad, the ugly, and the off-strategy. It is defined by your best product as well as your worst product. It is defined by award-winning advertising as well as by the god-awful ads that somehow slipped through the cracks, got approved, and, not surprisingly, sank into oblivion. It is defined by the accomplishments of your best employee– the shining star in the company who can do no wrong– as well as by the mishaps of the worst hire that you ever made. It is also defined by your receptionist and the music your customers are subjected to when they are placed on hold. For every grand and finely worded public statement by the CEO, the brand is also defined by derisory consumer comments overheard in the hallway or in a chat room on the Internet. Brands are sponges for content, for images, for fleeting feelings. They become psychological concepts held in the minds of the public, where they may stay forever. As such, you can’t entirely control a brand. At best you can only guide and influence it. Are the data points you can control consistent and high quality? A misspelled tweet is like a dirty store lobby. Doesn’t kill the sale, but gets someone thinking the wrong way. Are the data points you can’t control on your radar screen? Do you know what people are saying about you? Are you correcting misconceptions? Do you know why you’re getting bad reviews on Yelp? Your brand is constantly throbbing and changing as new data comes in. Some of it is good or bad, but much of it is neutral. Can you minimize the bad data points? Can you turn the neutral data points into good ones? And can you get the good data points shared? Good social media alone won’t save a bad brand. (I don’t know what I would do if I were running Sears, but their biggest problem isn’t social media.) And bad social media won’t destroy a good brand. But social media is a fertile source of data points—and that’s all your brand is. This thinking simultaneously makes our jobs easier and harder. All we have to do is manage the data points. Unfortunately, we have to manage floods of them.